Key West is a beautiful island in the southernmost part of Florida, placing it conveniently above Cuba, making it an oasis for both Americans and Cubans alike. Famous for its pastel-hued beachfronts and its relaxed attitude, the island is just an oversea highway drive from the mainland, which makes it one of the most isolated and beautiful locations in America. The island city is a complete holiday destination with luxury resorts, exotic restaurants, and many party spots. You will never get bored during your stay here in Key West. Coming here, you can enjoy water sports like scuba diving, snorkeling, SUP Kayak, and many others. Moreover, you can also enjoy fun train rides which tour all around the city, giving you a good information about city’s history and the things-to-do here. The place is also famous for its top-quality cruise services. You can hop-on on one of them and enjoy the magnificent views the sea has to offer. If you have this city in plans and wish to visit it anytime soon then EYW Airport is the easiest way to get here. It is an International Airport and jets from all over the world fly here. The views which you get to enjoy during your flight are second to none. The city is present on the extreme southeast of the US and is only a few minute flight from Cuba. You can get on a flight to Havana from here and enjoy the colorful Cuban culture as well. Florida is famous for its white beaches and blue waters; which is why people from around the globe gather here and spend their summers. The bright sun, clear skies, and panoramic views make it one of the most loved places in the US. Of the many cities which are worth visiting here in Florida, one is Key West. 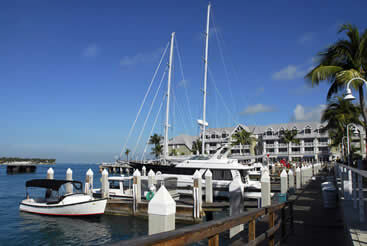 There are many things surrounding the Florida Keys, but nothing seems to amaze people more than the city of Key West. As soon as you land at Key West International Airport, you’ll be relaxed to find out that our companies offers a variety of complimentary rides via their shared ride vans. Get cheap and comfortable transportation when you make plans ahead of time, getting to your hotel in style and with time to kill. If you want even more time to kill, check out Duval Street, a fun strip filled with unique shops, contemporary art galleries, and street vendors selling authentic local craftsmanship. See the famous street by booking a private van with us, the perfect company that rents out vehicles that fit plenty of people as well as extra space for fun purchases. While you’re out, take a walk through Mallory Square, a busy plaza famous for their sunsets. There are plenty of quietly beautiful spots throughout the island, but one of the coolest is the Harry S. Truman Little White House, a former winter home of the former U.S. President that offers tours every day. You can go to historic locations like these by reserving your very own private sedan from local providers, riding around in so much comfort you’ll feel like you’re on vacation right away. 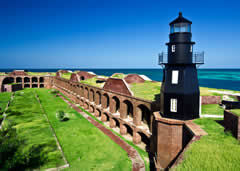 Families visiting for the crystal-clear beaches and astounding wildlife of the Florida Keys should take a chill drive through Dry Tortugas National Park, a beautiful landscape that is home to the iconic Fort Jefferson and astounding Windjammer dive site. Get there together by reserving a private SUV and explore every natural wonderment Key West has to offer, including the tropical habitat, Key West Butterfly and Nature Conservancy. Check out some of the world’s most decadent seafood restaurants by showing up in a beautiful stretched limousine, each model hand-selected by our local company. There are plenty of premiere fish restaurants to eat in town including Seven Fish, a quaint bistro located in the heart of Key West’s downtown, as well as The Flaming Buoy Filet Co., a New American seafood joint fused with New American and a warm atmosphere. You can also get drinks at these amazing locations, taking your ride to your luxury hotel, whether it be the beautiful Pier House Resort & Spa, a lovely hotel with its own private beach and cocktail lounge. For big groups traveling together, Key West is the perfect place to vacation. Hop aboard a chartered bus provided by area providers by hitching a ride to spacious and interesting landmarks like the West Martello Tower, a beautiful garden that sits under the Florida sun. Another fantastic area that not only offers an amazing scenery, but consecutive tours, is the Key West Lighthouse, a historical monument that gives each guest the best view of the island. 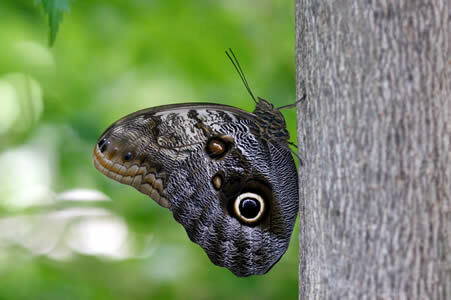 The Key West Butterfly and Nature Conservatory is an awe-inspiring butterfly park that houses over fifty different species from all around the world. Located on the always-popular Duval Street, the conservatory also has a huge collection of gorgeous flowering plants, waterfalls, and epic trees that offer an exclusive view at wonders you can’t naturally see anywhere else. Just under 70 miles west of the island of Key West, the Dry Tortugas National Park is a beautiful preserve and one of the most unique spots in the world. Known for its relaxing atmosphere and profound silence, the park is located on an island that is the most western and the most isolated of all the Florida Keys, offering its visitors a one of a kind experience. 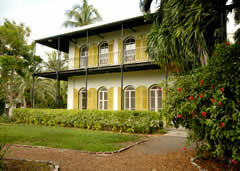 The Ernest Hemingway House is known for being the home and writing spot for the American writer throughout the 1930s. The iconic space has been transformed into a beautiful museum, welcoming visitors from all around the world to take a look at where the author lived during some of America’s most historic and turbulent years. Key West International is just two miles east of the island and is a relatively small facility. Known for its short runways and handful of international airlines, the airport is small, but well run, which is a good factor when you’re one of America’s biggest tourist destinations. Needless to say, the airport is busier during the Spring and Summer, so be sure to have a plan extensively if you’re coming around that time. Because Key West is a series of islands, there are several ways to get around including airline shuttles, taxis and even ferries. If you’re coming from the airport, get a ride from Keys Airport Shuttle, which offers daily door-to-door shuttle services. If you need to hop onto another island the Key West Express is the best way to get across the waters whether you’re headed to Ft. Myers or Marco Island. Most of Key West’s hotels are upper scale, since it’s difficult to not be beachside on such a small island without paying a high price. If you’re interested in one of the best hotels in the area, Key West Marriott is definitely top-notch – with a pool and dining hall, the hotel is sure to leave you with a good night’s rest and a beautiful view of the beach to boot. Similarly, Island City House Hotel is a classy hotel that is just as luxurious, and also offers free Wi-Fi. For a taste of Florida-Caribbean fusion, grab an exotic bite to eat at Blue Heaven, one of the most popular restaurants not only on the island, but also in the state. If you’d rather try some local Cuban, visit El Siboney Restaurant, which serves home-style dishes and fresh sangria. If you’re looking for more to do in Key West, don’t fret – there’s plenty! Key West is not only a beach getaway, but also a historic city with a lot of culture to explore. If you’re interested in some beautiful old architecture and a bit of local history, visit the Key West Lighthouse and Keeper’s Quarters – if you’re more interested in seeing what’s off the island, however, an underwater adventure awaits at Vandenberg Wreck, a diving experience that will leave you breathless.